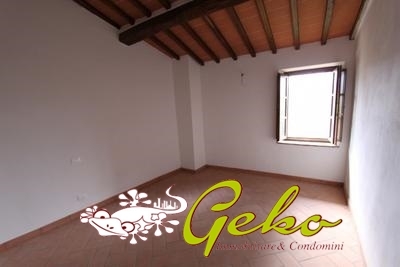 We sale a nice apartment 5 minute's distant from San Gimignano with panoramic view on hills and nature around the rural hamlet wich is part . Completelly renovated is on first floor and is composed of : private entrance, living room with kitchen one double bedroom, one small bedroom, in the living room there is a staircase made of wood that bring to the first floor where is a showeroom, one study , . The apartment have a nice private garden and car place .